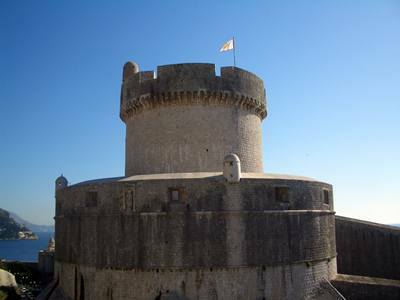 The Minceta Fortress dominates the north-western part of the city with its height and impressive appearance. It was named after the Dubrovnik aristocratic Mencetic family on whose estate it was built. It was originally built in the 14th century as a rectangular tower and only later took on its current appearance. This Dubrovnik attraction was among locations used as setting for popular TV series "Game of Thrones". If you decide to take a walk along the city walls you will have opportunity to climb this fortress. 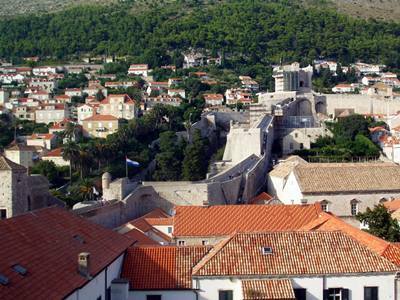 It is located in the nortwestern section of Dubrovnik's city walls. Once you arrive at the fortress take the narrow stairs to the top of the tower. From the top terrace you will enjoy one of the most stunning views of the city's roofs, the island of Lokrum and the Adriatic Sea.